Making decisions in a vacuum will only lead to failure,so we need to understand the set-up first and then select the most suitable option. The interest around blockchain has been well-chronicled for everybody to take notice of the technology in the past few years. Deeper enthusiasts have delved further into the different types of blockchain networks along with their possibilities. Differences between public non-permissioned blockchain networks and private permissioned blockchain networks are fairly straightforward. In all its simplicity, a public permissionless blockchain has no access restrictions to view its data or participate. Usually, such networks offer economic incentives for those who secure them and utilize some type of lottery based consensus algorithm. Some of the largest, most known public blockchains are Bitcoin and Ethereum. On the other hand, private permissioned blockchain networks requires permission to read the information on the blockchain and limits the parties who can transact or participate. Some examples include R3’s Corda, as well as various Hyperledger frameworks including Hyperledger Fabric and Hyperledger Sawtooth among others. There are few cases where a private permission-less network would make sense but there are some examples of public permissioned networks appearing in order to facilitate better scaling of public networks. When a company is in the architectural planning stages of a blockchain network, the team has to first assess the objective and goals the network wants to achieve. Would a public or a private blockchain network be more appropriate? Should the network be tokenized? Which specific blockchain technology is the best choice? For instance, let’s say your aim is to reduce fraud around invoice financing in India, then it’s important to understand how to connect clients in a secure but transparent manner by creating a blockchain network that has never existed before. If a company wants to create a safe ecosystem to mitigate fraud in financing, the network access restriction should reflect the sensitivity of the business processes it is targeted at. Financing is restricted to licensed or regulated entities, and so the blockchain network should also be restricted to the same licensed or regulated entities. In enterprise, and specifically in financial services, when there is a network that will potentially be open to multiple parties, there needs to be assurances that all parties follow the same rules, regulations, and disclosures. Additionally, enterprises need to know that specific information and data is not available to anyone not entitled to access it. If the risks of having the general public participate are greater than the value they would bring to the network, then why have them participate? And the risk the public poses to any network is serious, especially when the data being stored on it could be sensitive. From a business standpoint, there is rarely a case to make transactional information public and networks tend to serve a specific purpose which is restricted to entities that meet specific requirements. For example, regarding participating on the Swift network for interbank payments, access is generally restricted to participants which are of a certain size, are licensed, are regulated, and fall under a certain classification because they have procedures in place and have a vested interest in operating a certain way on the network. There are some instances where a network or service should be made public. For instance, identity services like certificate authorities (whose purpose is to validate the link between an identity and cryptographic keys) make more sense as a public service than specific to a single blockchain network. Tying keys to known and verified public identities is a common requirement for private networks. That being said, the exchange of transactional information itself between parties for enterprise is unlikely to be done in a public setting unless it is public information, even if it is encrypted or pseudonymous. There are a few cases where transactional information is mandated to be made public, such as property deeds which are publicly searchable. Even then, a public permissioned network would be the appropriate choice over public permissionless. However, with most use cases being pursued, irrespective of the industry, they almost always involve sensitive or regulated information for which privacy is a fundamental requirement. Once the private vs. public argument has been weighed, one must ask if it is appropriate to use a token model for the particular use case. Continuing with the earlier example of fraud mitigation, one can understand that the use of tokens in that particular case does not add value and facilitate communications over the blockchain network. In fact, without tokenization, the distributed ledger architecture itself adds value by providing a secure and immutable data service, not controlled by any single entity, where data is being stored and shared while guaranteed to maintain its integrity. Tokens fundamentally represent ownership or value. So unless you are transferring ownership or value among participants, tokens are not required and should be avoided. The platform needs to be cost effective and flexible in its design principles so that you can have the freedom to work around your requirements. Everything needs to be enterprise grade and industry tested. Look for platforms that have had successful use cases, or better yet, live production systems. Longevity of a platform is critical for the success of an enterprise, hence your choice should have high probability of survival. This is where the backing of industry leaders comes into play. 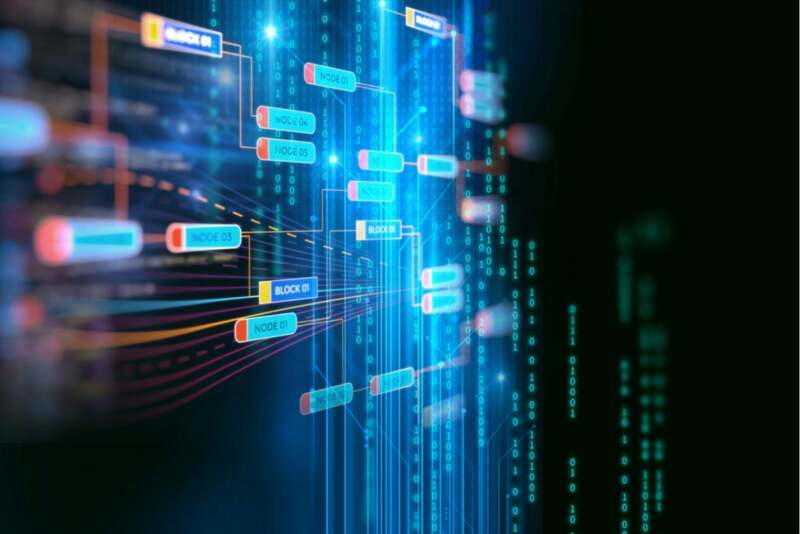 The decision regarding which type of blockchain network to use for your network can be a complicated choice as many factors weigh into the decision. Public or private? Tokenized or not? Proprietary or open source? Does the use case even require the use of a distributed ledger in the first place? The ultimate choice needs to be primarily driven by the use case at hand. Consult with others who are further along in their use of blockchain technologies. Take the time at the outset to vet options thoroughly before getting too deep into the process and don’t forget to speak to industry experts before you make a decision. Making decisions in a vacuum will only lead to failure. If you are working on an industry-wide use case, input from the other future participants of the network is critical.